﻿ alkali-resistant standard fiberglass mesh manufacturers,alkali-resistant standard fiberglass mesh exporters,alkali-resistant standard fiberglass mesh suppliers,alkali-resistant standard fiberglass mesh OEM service. Fiberglass mesh is woven of alkali-free or mild alkali fiberglass, then coated by the anti-alkali and reinforcing agent and treated by high temperature heat finishing. 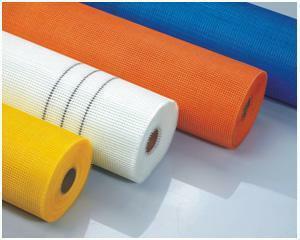 The most common place to find fiberglass mesh is intapeproducts. 1.Good chemical stability: Alkali-resistant, acid-resistant, waterproof, cement erosion-resistant, and other chemical corrosion resistant, and strong bonding with resin, soluble in styrene. 2. High strength, high modulus, light weight. 3. Good dimensional stability, stiffness, smooth, not easy to shrinkage deformation, good positioning. 5. Anti mildew and insect. 3. Used for Granite, mosaic, marble back mesh etc. 7. Grinding wheel base fabric. 9. Construction caulking tape etc. It contains interior wall insulation f, External wall insulation, GRC reinforced mesh, fiberglass tape four kinds.